At Mr. Pavement, we know that while walkways can serve as a functional element of a home or business, they can also be a design element that enhances a home or business’s curb appeal. Our expert paving company offers a variety of walkways that can be used for either purpose or for both. We’ve been installing walkways for more than 10 years and have satisfied a number of customers, both residential and commercial. 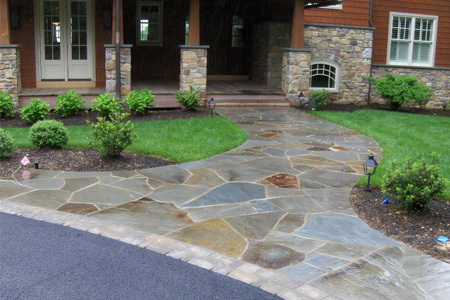 Residential walkways are one of our paving company’s specialties, and we can help you design the perfect pathway for your home. Whether you’re in need of a walkway to your front door or one through your garden, our experts will offer you the best solution for your situation. We specialize in asphalt, concrete, and paver walkway installations to give your home the look you want and the durability you need. As a business, it’s important to offer your customers total accessibility to your building, and a walkway installation can easily help you do this. A commercial walkway paving can give visitors a clear path to follow during inclement weather and show them exactly where they should go. Whether you’re in need of a walkway between two buildings or one that leads from your parking lot to your office door, our experts can help. 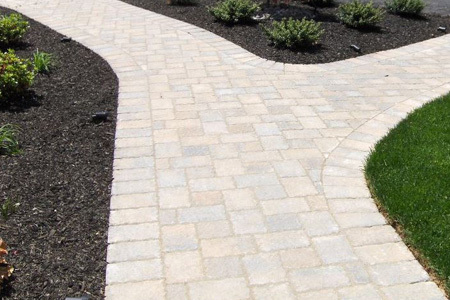 For the best in residential and commercial walkway paving, call Mr. Pavement today. We’ll help you decide on the best layout and the best material to fit your needs and to enhance your curb appeal.